Partner Pete McCarthy pointed me to an article a couple of weeks ago that also introduced me to a website called Viperchill and its gifted, self-promoting SEO/Marketing creator, Glen Allsopp. The linked post, which I strongly urge you to read, enumerates quite painstakingly the techniques used by 16 online media companies with a large portfolio of brands that enable them to dominate specific search results in Google across a very wide range of topics and categories. The example ViperChill explained in detail was how Hearst created a lot of traffic very quickly to a new site and business it had created called BestProducts.com. Judicious placement of content and links to BestProducts from the very big brands that Hearst controls (Cosmopolitan, Womens Day, Marie Claire, Esquire, Elle) resulted in Google placing BestProducts startlingly high in search results. This is a result of three elements Google values a great deal: “domain authority” and “inbound links”, nested in “content” that seems “natural”. “Natural” suggests that Google believes the content is genuine information, not a ruse to point to an otherwise irrelevant link. This is tricky and problematic stuff for Google, as the story makes clear. Google’s objective is to deliver the most relevant search results for a user. While Womens Day’s editorial opinion about the best nail polish would seem worthy of high “authority” (which ultimately translates into an elevated position in the search results), Google does not intend to confer that authority on a nail polish suggestion that is motivated by BestProducts’s commercial interests. How can Google tell what motivates the placement of content and a link on Womens Day’s web site? They may still be figuring that out. In other words, what is working so effectively for these brands, enabling them to use the collective authority of many powerful domains to drive traffic to something new and different, may not work forever without some serious adjustments. But it sure is working now! This information wouldn’t be appearing on this blog if it didn’t have application to book publishers. It demonstrates a very large opportunity for many of them. The precise size of the opportunity depends entirely on the number of individual web domains that publisher controls or influences, the authority of each of the domains according to Google, and the judicious placement of content and links among those sites to push the desired result to a specific search term. These powerful multi-brand content organizations have such massive traffic and authority that they can influence Google search for the most searched terms on the Internet. No book publisher would have comparable capability. 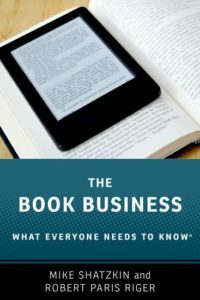 But for terms that are more publishing-specific — those that reference books or reading groups or book genres or authors — the larger book publishing organizations have the ability to influence search results exactly the way these big outfits do. And so would some smaller publishers, particularly vertical/niche publishers with any meaningful consumer-facing brands. Probably the first big insight that created the success of Google was the recognition that links to content or a website told you something valuable about the worth of that content or website. So from the very beginning of SEO two decades ago, domain owners have understood that getting links is a way to improve their rank in search and increase their discoverability. What is documented in this article is that when one entity controls a large number of authoritative domains, they can constitute an ad hoc “network” that gets them the power of inbound links without having to persuade somebody outside their family of their worth. That’s particularly important when you’re trying to launch something new, as Hearst was with BestProducts. And which publishers do every day with new books and debut authors. There are two big steps publishers need to take in order to put themselves in position to execute this strategy effectively. The first is that they have to enumerate and understand all the web presences they own and control. Obviously, that includes the main domain for the publisher. But it also includes individual book sites, author sites, series sites, topical sites, or any other sites that have been created and which are regularly used and posted to. In fact, any site that has meaningful domain authority can be helpful. We’ve worked with sites that have long since been defunct but that still have “weight” in the Google-verse. Those can be revived and used to impact SEO for current projects. The second is to enumerate and understand all the related sites, owned or controlled by others, but where there is a mutual interest in some property between the publisher and the website owner. These will largely be sites for titles or authors, but might also include corporate sites for some authors and movie sites for some others. If a movie is made of a publisher’s book and there is no link from the movie site to the publisher’s information on the book, it is not good for anybody. The publisher is missing out on referrals that could lead to sales as well as additional discovery “juice”. The fans of the movie would want to know that it came from a book and it would be useful information for them that should be on the movie website and really constitutes an unfortunate omission if it is not. If the publisher sites can also influence the sites promoting the UK or international editions of the same title, they’d be helpful too. Once the roster of usable sites is complete, the next step is to make sure there are relatively easy ways to add “natural” content to tie to links. Authors can really help each other here. They each have “authority” and they can, in combination, add a lot of power to the site for a new author or a new book. The more an author participates in useful reciprocal linking, the more that author helps their own cause and adds search power to the other authors in the publisher’s stable. And the more the publisher can orchestrate these links, from their own sites and tethering their authors to each other on the web, the more the publisher adds otherwise unobtainable value for the author that costs nothing but a little administrative effort. Indeed, the value added for authors, which would be tangible and visible, is one of the most important strategic reasons why publishers should heed the advice in this post. The complete roster of useful websites, which is being added to all the time as new titles and authors are added to the publisher’s lists, should be centrally managed for maximum impact for the new titles publishers will launch. An SEO plan for every new book or author should be created from this roster of sites, soon pretty predictably adding another useful authoritative domain that can be put behind new titles that arise in the future. An understanding of this opportunity also makes clear why authors having their own websites with their own domains is an important marketing component. Each site needs to be competently rendered and, of course, it should be linked to from the publisher’s own site. (And it should link back as well.) But assuring that those things get done should also be part of the standard book publisher playbook for maximum discovery. In the overwhelming majority of cases, it doesn’t appear to be now. So, why is there that hole, universally (as far as we can see) across the industry? We’ve asked ourselves that question. The likely answer is that there is no one person or already-organized group of people within any house who can both do meaningful analysis and deliver the necessary execution with expertise, and who has the credibility and authority with all the stakeholders to make it happen. What’s essential is somebody who can corral parent companies, imprints, technology groups, authors, and agents and 1) get them to understand the value we’re pointing to here; 2) persuade them to participate; and 3) provide a convincing roadmap on how it will work. Perhaps it is not surprising that we think it will take a powerful outside consulting team to make that happen, at least in the first place to do it. (After the value is more obvious, and as quickly evident to authors as it will be, others will figure out how to follow.) That’s the kind of thing that publishers would typically go to an outfit like Boston Consulting Group (there are others, like McKinsey or PwC) to get done. Of course, a smaller firm more focused on publishing might well do the job better, faster, and cheaper.